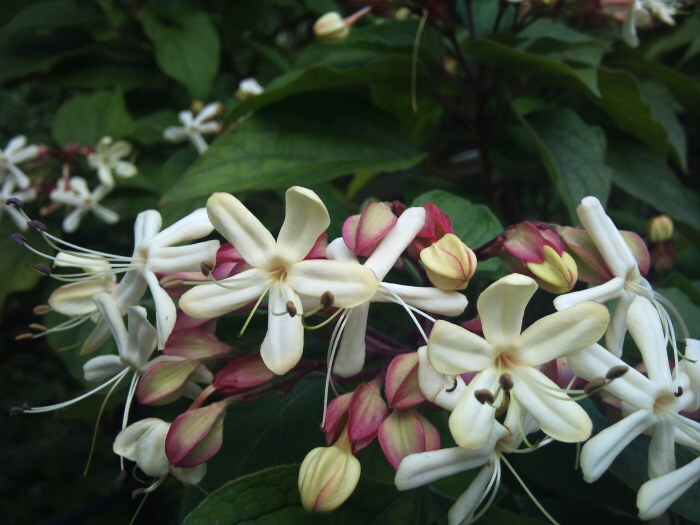 There are many scented plants plants but few that combine such a heady scent with beautiful flowers and startling berries. It is the perfume that attract your attention first: a head-turning fragrance that is not the product of a master perfumier but of Nature. Clereodendron trichotomum var. fargesii has white, waxy flowers with red bracts that are so delicate they could have been created by Fabergé. 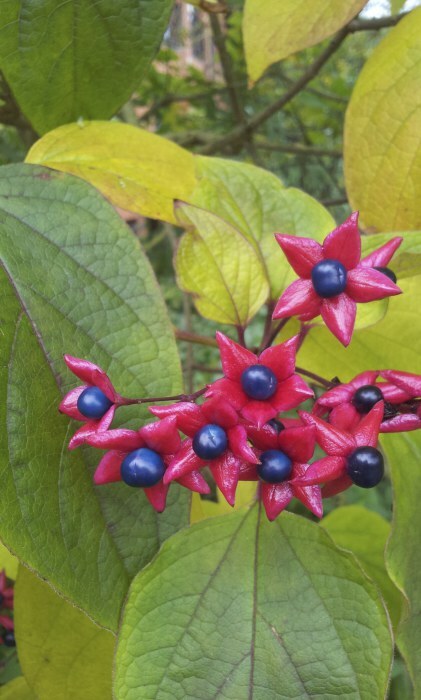 The berries that follow the flowers in the autumn are a bright, metallic blue and surrounded by maroon calyces. In its native China the species can grow to 20feet tall but in northern Europe it rarely reaches half that heigh. To grow well it needs fertile soil and dappled shade. This variation has bronze foliage, especially on new leaves. It is named after a French missionary to China Paul Guillaume Farges (1844-1912) and is found growing in western China.